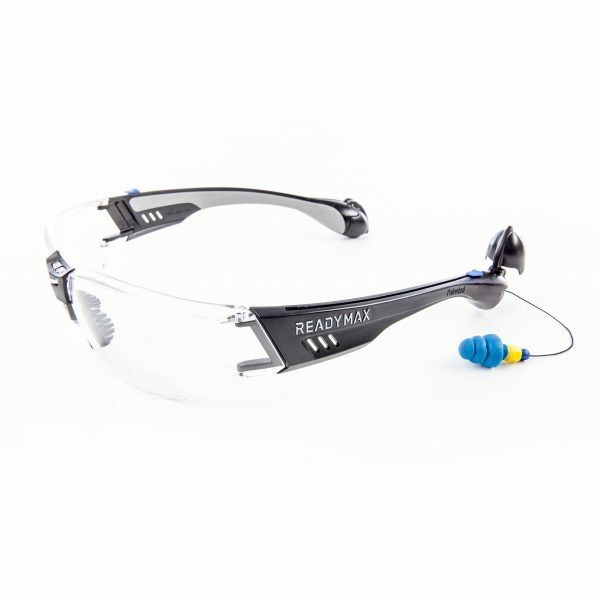 ReadyMax Construction Safety Glasses feature our patented safety eyewear and hearing protection combination. 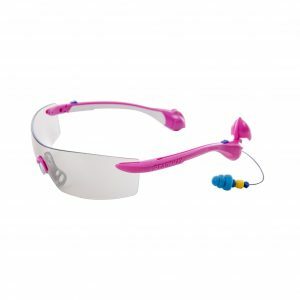 Perfect for outdoor use, these glasses feature anti-fog, scratch resistant and polycarbonate impact resistant lenses that absorb 99% of UV rays and ready to use, retractable PermaPlug earplugs that provide NRR 25 noise protection. ReadyMax Construction Safety Glasses provide our most extensive side shield protection and are perfect for even your most heavy-duty jobs. Ideal for construction environments and outdoor activities. 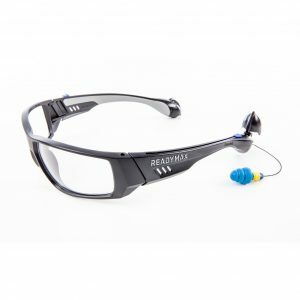 ReadyMax Construction Safety Glasses feature our patented safety eyewear and hearing protection combination. Our polycarbonate lenses are anti-fog, scratch resistant and impact resistant. The lenses also absorb 99% of UV rays. Retractable PermaPlug earplugs provide NRR 25 noise protection, ReadyMax Construction Safety Glasses provide our most extensive side shield protection and are perfect for even your most heavy-duty jobs. This product is ideal for construction environments and outdoor activities.